Preseason Tickets on Sale Wednesday at 10 a.m. 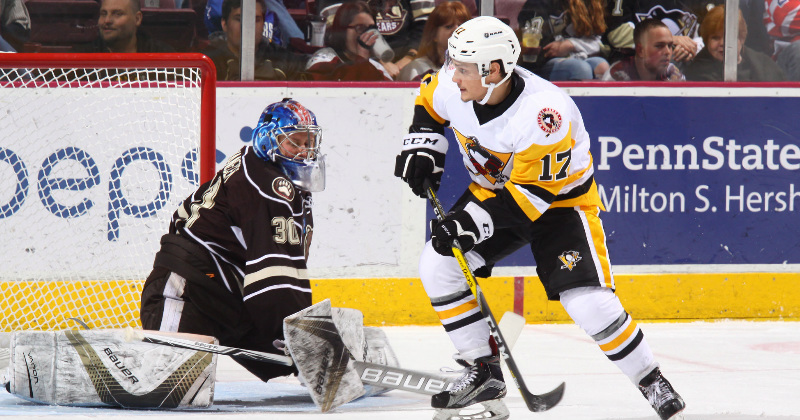 The Hershey Bears announced information regarding tickets for the club's home preseason game. The Bears lone preseason game at Giant Center is slated for Sunday, Sept. 30 at 5 p.m. versus the rival Wilkes-Barre/Scranton Penguins. All tickets will be general admission and cost just $12. Tickets to Hershey's preseason game will go on sale this Wednesday, Aug. 15 at 10 a.m. Tickets are available at the Giant Center Box Office, by calling (717) 508-BEAR, or online via Ticketmaster. Doors for this contest will open one hour prior to puck drop at 4 p.m. for all fans.